Bloggers With Shops Stores Boutiques, is This a Trend? 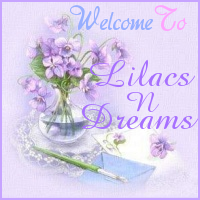 Welcome to LilacsNDreams, glad to have you here. I have a silly question, how many of you blog? Do you only read blogs, or do you also have a blog. Next question, over time have you noticed that many people who do blog now have their own shops too? Not only the brick & mortar shops, but also those Online Shops as well. Sometimes I am seeing a trend with this. Upon reading blogs, following with some, sharing, etc I have noticed over time that some have ventured off into becoming shop owners as well. Yes, some have gotten a building for their shops to do their own thing in as they wish. There are some shops that are open 7 days a week, 6 days a week, 5 days a week, and there are also many that have chosen particular days of the week or month to be open as well. While some have been fortunate to venture off into their own shops they still maintain their blogs during this time too. 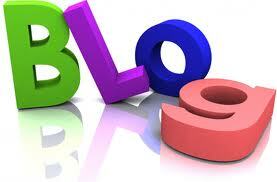 There are some who do have websites while they are in business, but many no matter what still have their blogs. One of the advantages to having a blog is that the Search Engines love them, and if you have something like Word Press you have the flexibility of the plug-ins with them too. Don't you think that is a neat concept? Have you seen things to also imply that this may be a trend? Have your blog, or maybe a website you have dealt with. Over time you were able to grow from your blog into a shop. Some with their shops will have their blog logo stamped onto their store bags for a reminder to customers. Many have schedules worked out with their hours of operation they have, and when they will blog. Different shop owners found that with blogging it was a good start for them, and is still a good thing for them with their shops as well. So, how many of you have the dream of having your own shop, and advance from blogging? Wouldn't it be neat? Having your own shop would you use the same name as your blog, would you choose a different name for business, would you keep your blog after you opened your shop, would you be like many others who then treat their blogs as their website too? I have often thought of opening a shop again, and yes I would use my blog up till that day, and also continue to Blog too. Blogging has been a way to communicate with others, share ideas, share thoughts, make friends, but has also been a great way of showing products and advertising with the advantages of the Search Engines liking them too. Upon having my shop again I would have different hours with it, and I would have different days that I would also be open. On days that I was closed I would still be in the shop shooting photos for my blog, writing and blogging, creating different things to offer in the shop, have days to shop for supplies and inventory, and things like that. So, what do you think? Would love for you to share about your Blogger Shop ideas. Have you opened a shop yourself? 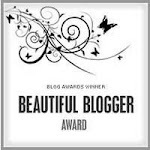 Are there plans in your future with a Blogger Shop idea? Thanks for sharing your time with LilacsNDreams everyone, and hope you enjoyed your visit today. 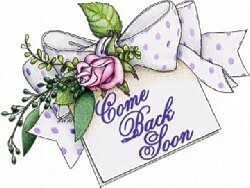 Have fun blogging, and planning, and see you all again soon. Take care!